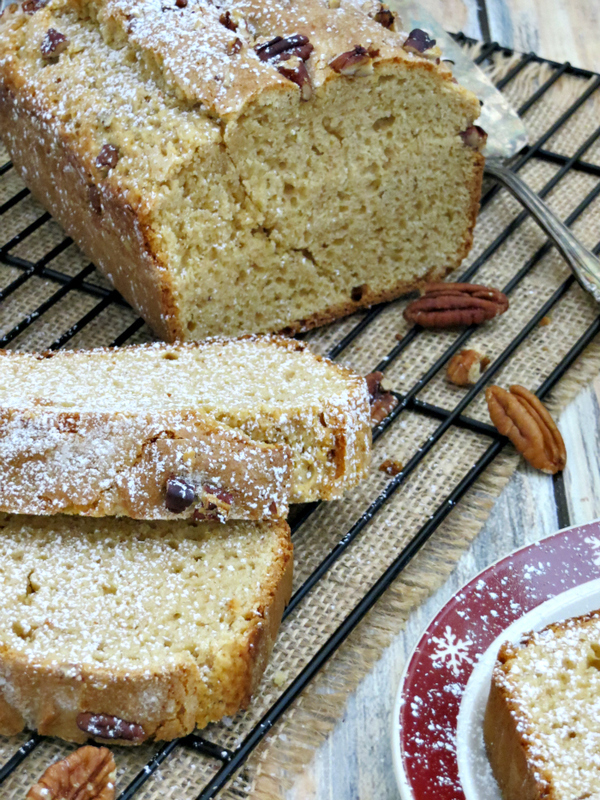 A moist & delicious quick bread bursting with the flavors of eggnog, vanilla & cinnamon! 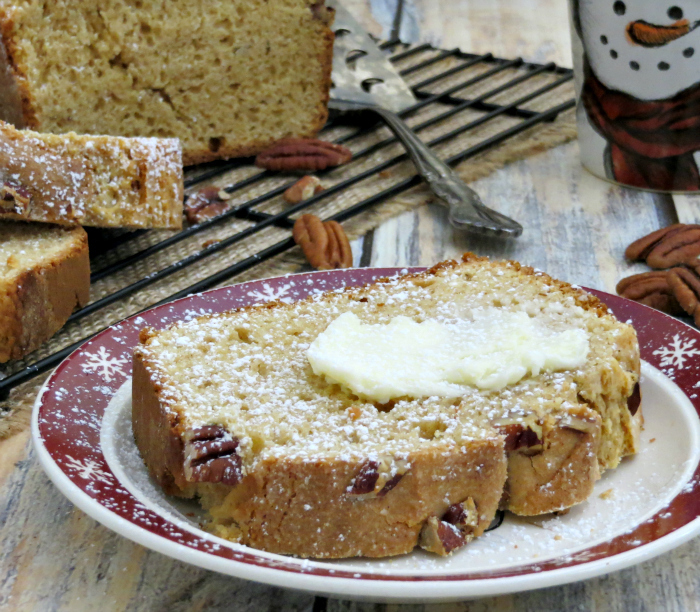 Since Christmas is just a couple of days away, I wanted to share another one of my go-to holiday recipes with you. By now I’m sure we’re all in full-on Christmas mode with presents to wrap, decorating to get done and lots of cooking to do, so it’s nice to have a repertoire of easy, no-stress recipes on hand. I can’t think of anything else that screams the holidays like eggnog, but it’s not just for drinking. Honestly, I rarely just sit and have glass of it on its own (unless there’s rum involved), but I do use it in my cooking a lot. You can replace some of the milk in most recipes with eggnog to give it a mild eggnogy flavor. I use it in French toast, pudding, oatmeal and even as a coffee creamer. 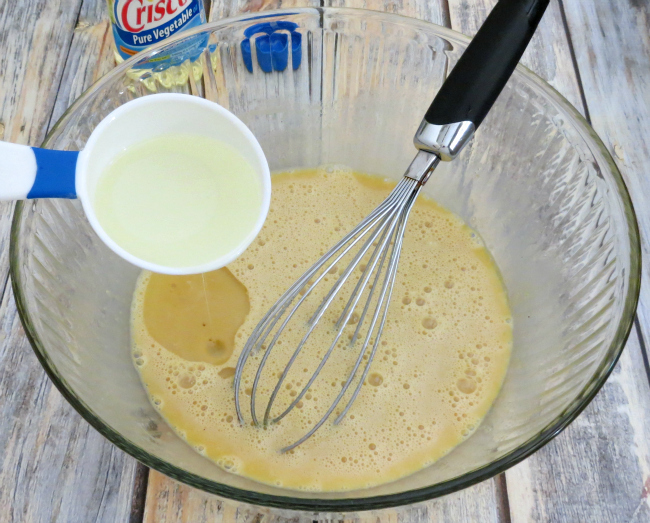 And thanks to a tip I saw on a cooking show, we now mix it with maple syrup to pour over our pancakes – YUMM-O! I went to Publix to pick up the ingredients I needed this morning because I can count on them to always have what I need, and that’s important this time of year. I don’t have time to go hunting down ingredients! 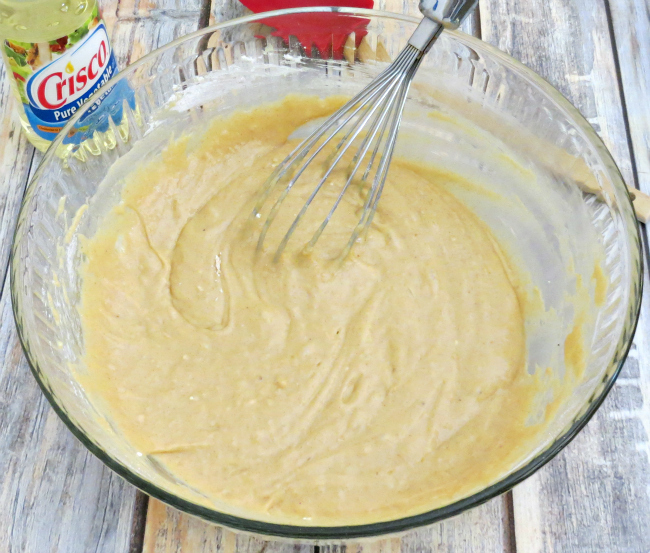 I prefer Crisco® oil products in my baking because I’ve used it for years, and it’s a brand I trust. 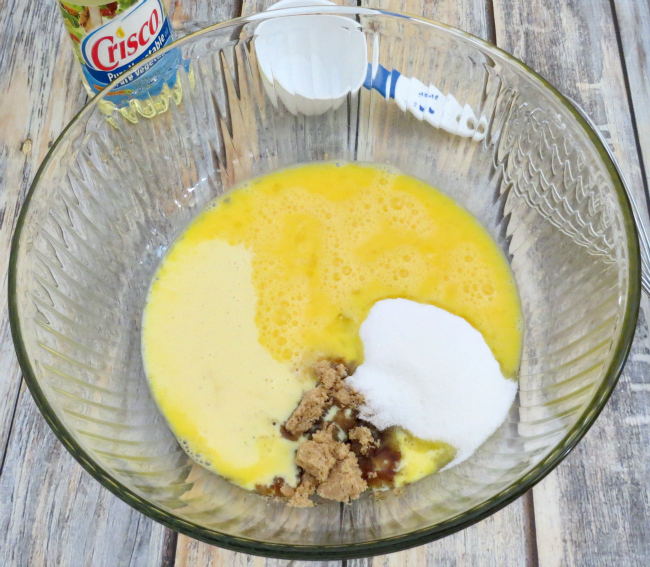 In this recipe, I used Crisco® Pure Vegetable Oil and the Crisco® Original No-Stick Cooking Spray, which can both be found in the aisle near the other oils at Publix. Fun fact! My uncle was the regional manager at Publix in north Florida until he retired, and I have fond memories of being able to go into the store before it opened. I don’t know why that was so exciting to me, but I just thought it was the coolest thing ever! Ok…back to the bread! You won’t believe how easy this is to make! In a large bowl, add the eggs, eggnog, sugars and vanilla. Whisk to combine. 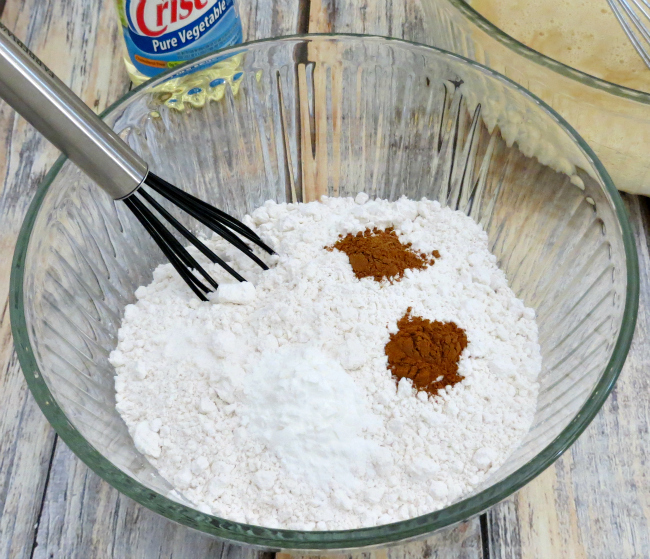 In another bowl, add the flour, baking powder, salt, and spices. Whisk to combine. Be careful not to overmix. As you can see, mine still has bits of flour showing – that’s ok! 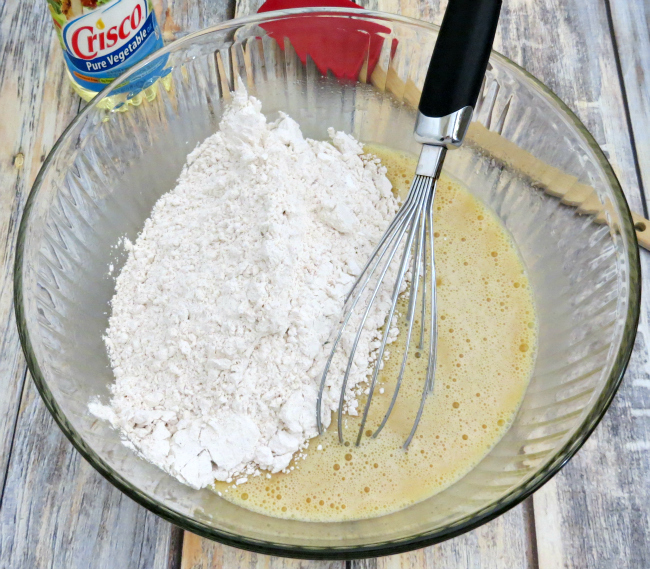 To make my life easy, I give the loaf pan of coating of the Crisco® Original No-Stick Cooking Spray. This will help the bread come out easily once it’s cooled. I also like to add a piece of baking paper with the ends sticking out over the top. This will help you lift it out of the pan. Pour the batter into the pan and gently spread it so that’s it’s somewhat even on top. 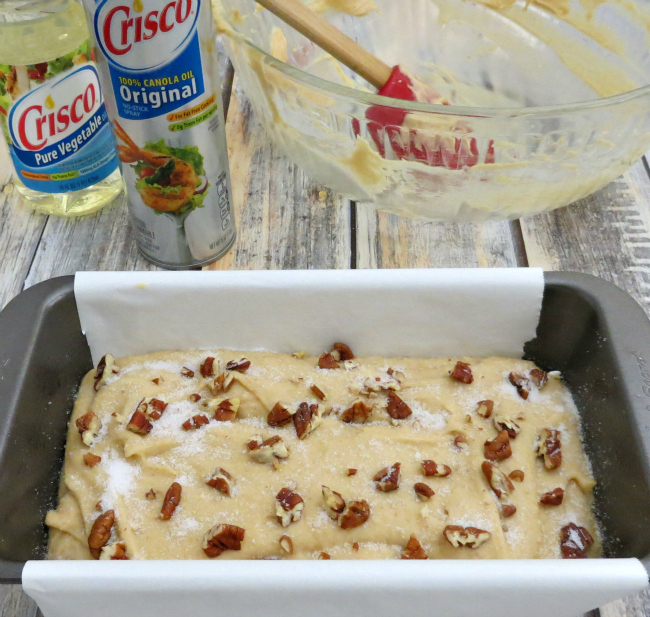 Sprinkle the pecans all over the top followed by about a tablespoon of white sugar. This will help create a nice, crispy top! Bake for 50 – 55 minutes or until a toothpick inserted in the middle comes out completely clean. 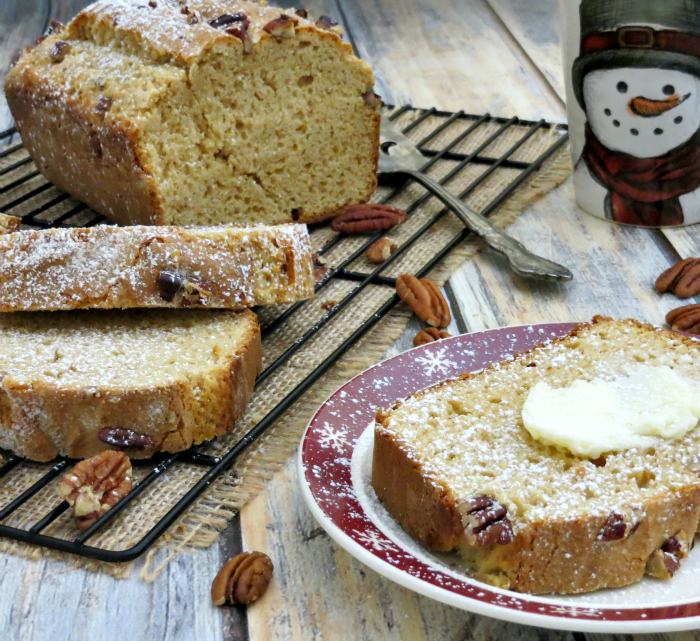 The eggnog makes this bread very moist, so you want to be sure it’s cooked through but not overbaked. I check mine at 45 minutes and then every 5 minutes thereafter. Remove the bread from the oven and allow it to cool for 15 minutes before attempting to get it out of the pan. After 15 minutes, remove it from the pan and transfer it to a wire rack until it’s completely cooled. Yummy baked goods and treats are an important part of the holidays, and everyone has a different opinion on what’s the best. Visit The Dessert Debate for more recipe ideas and coupons! I’d love to hear your favorite! Comment on this post or share on our Facebook page. 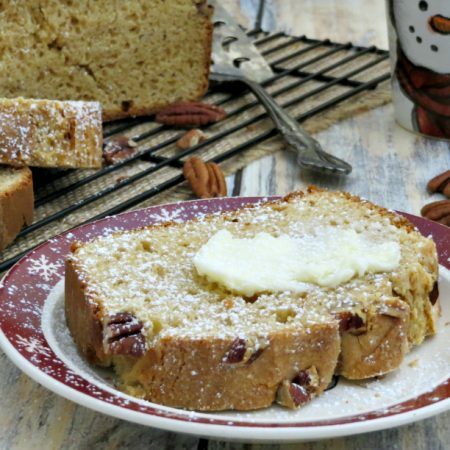 A moist and delicious bread bursting with the flavors of eggnog, vanilla <g class="gr_ gr_143 gr-alert gr_gramm gr_inline_cards gr_run_anim Punctuation only-ins replaceWithoutSep" id="143" data-gr-id="143">and</g> cinnamon! In a large bowl, add the eggs, eggnog, sugars, and vanilla. Whisk to combine. Be careful not to overmix. As you can see, mine still has bits of flour showing - that's ok! 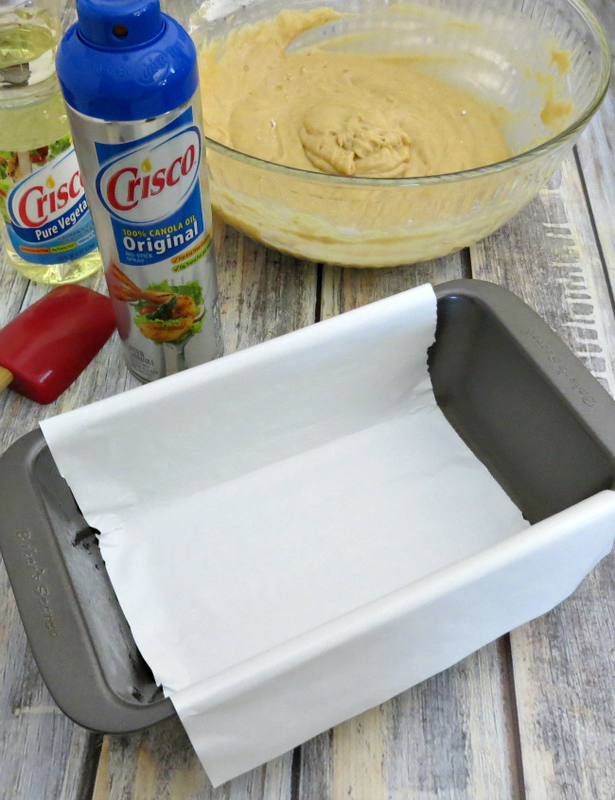 Give the loaf pan a coating of the Crisco® Original No-Stick Cooking Spray. Pour the batter into the pan and gently spread it so that's it's somewhat even on top. Sprinkle the pecans all over the top followed by the white sugar. Bake for 50 – 55 minutes or until a toothpick inserted in the middle comes out completely clean. After 15 minutes, remove it from the pan and transfer it to a wire rack until it's completely cooled.